Leading Manufacturer of ramipril and enalapril maleate from Vapi. 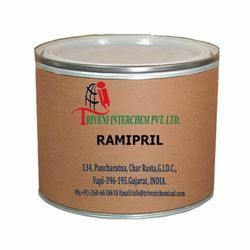 Ramipril (87333-19-5) is solid. it is use in antihypertensive, angiotensin-converting enzyme inhibitor, calcium channel blockers Industry. Storage: Keep container tightly closed. Keep container in a cool, well-ventilated area. Waste Disposal: Waste must be disposed of in accordance with federal, state and local environmental control regulations. 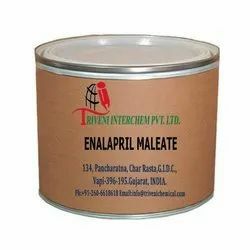 Enalapril Maleate (76095-16-4) is Powder. it is also known as it is use in blood pressure and hypertension Industry. Storage: Keep container tightly closed. Keep container in a cool, well-ventilated area. Looking for Ace Inhibitors API ?